What if … you could be God’s favorite? Better yet, beyond your wildest dreams — like Jesus. Check it out, John 15:9. If God is for us, who can be against us? Why, God even sacrificed His Son for us (1 John 4:10). That sacrifice means, His love and desire for us goes way beyond our comprehension (Ephesians 3:17-19). The truth is we can be God’s favorite by just wanting to be close to Him (James 4:8). The Glacier Lily is one of the first flowers of Spring: a sign of what is to come. If this is how God clothes the grass of the field, I can’t wait to see what He has in store for you, His favorite. 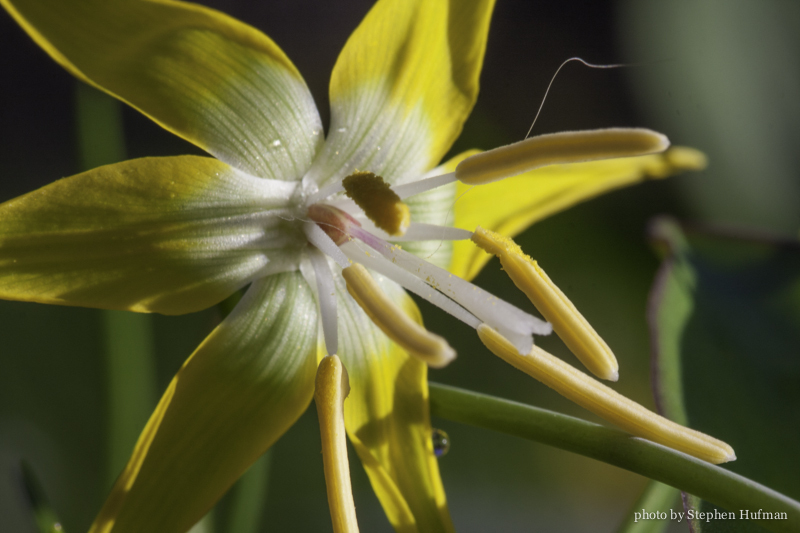 This entry was posted in Photography and tagged glacier lily, God's favorite, John15:9 by Stephen Hufman. Bookmark the permalink. This is inspiring…to be God’s beloved.